I have had a very stressful week regarding something that happened last month that I may write about in the future. All is well now but the events of the past week have caused me to do some more reflection on the state of our society today. So tonight I am going back to the vault to reflect on the killings of three young civil rights workers during the Freedom Summer of 1964. 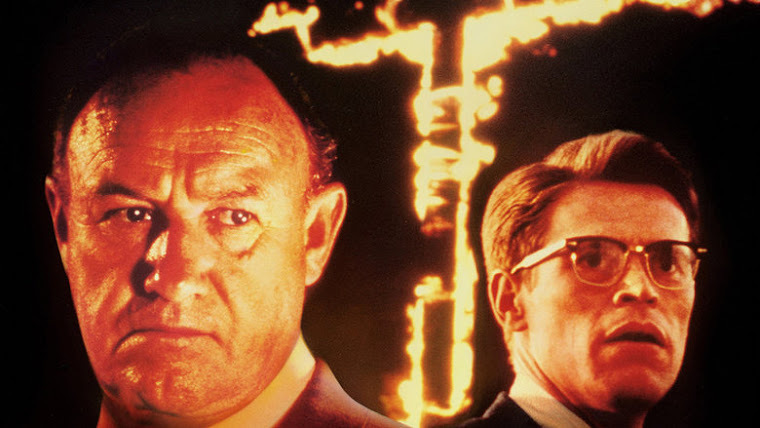 Their brutal murders by Ku Klux Klan members aided and abetted by law enforcement officials was memorialized in Norman Rockwell’s painting Southern Justice and dramatized in the film Mississippi Burning. It is import that we remember this because the ideology and spirit of their killers is rising again in too many places in this country, and not just in the South, but in the White House and the Justice Department. Please never forget their sacrifice and why it is important to fight for real justice. 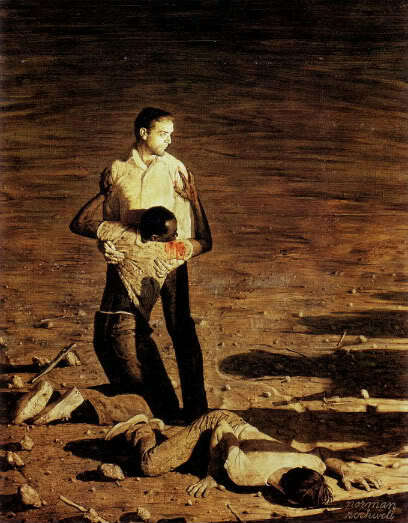 Fifty-four years ago three young men working to register blacks to vote as part of the Freedom Summer in Mississippi were brutally murdered by members of the Ku Klux Klan. 52 years ago the murders of these three young men brought national attention to the pervasive racism and discrimination in the country. So many murders, lynchings and burnings of homes businesses and that went before had been covered up by the media. I do hope and pray that we never go back to those days, but as laws are passed to limit voting rights in various states I wonder if the clock will be turned back. I don’t thing that it will in the long run, but the sacrifice of so many for those rights should never be forgotten. 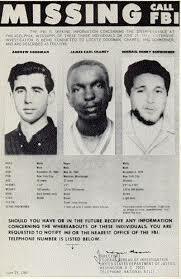 I post this in memory of Andrew Goodman, James Chaney and Mickey Schwerner and others of the Freedom Summer and the Civil Rights movement who died or suffered to peacefully bring about change to our society. I also post it as a reminder and a warning to us today that the same spirit that enabled men to murder them in cold blood for fighting for the rights of others is still present today. It is the duty of every American who believes in the proposition of the Declaration of Independence that “all men are created equal and endowed by their Creator with certain unalienable rights…” to oppose that spirit or be morally complicit in the crimes that are being and will be committed in the name of White supremacy. This use to be much more in the South, but now it’s everywhere. And I see it in young people as well. Scary times ahead, I’m afraid.